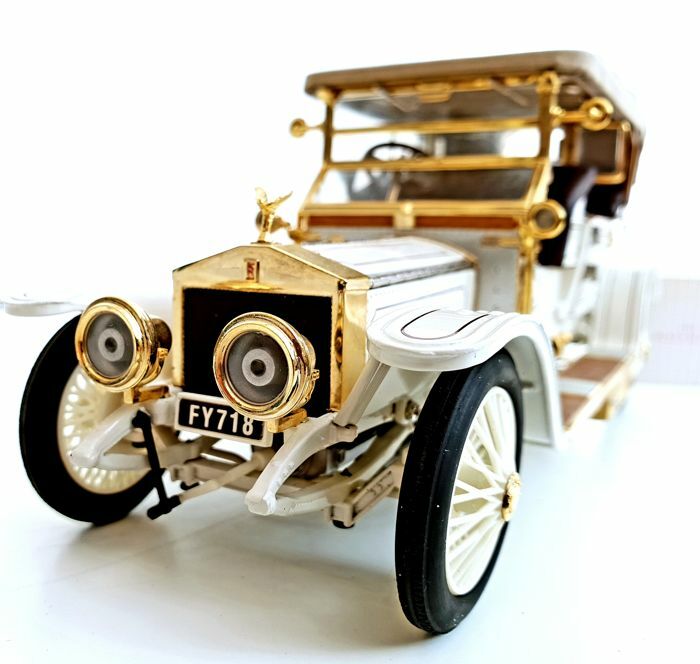 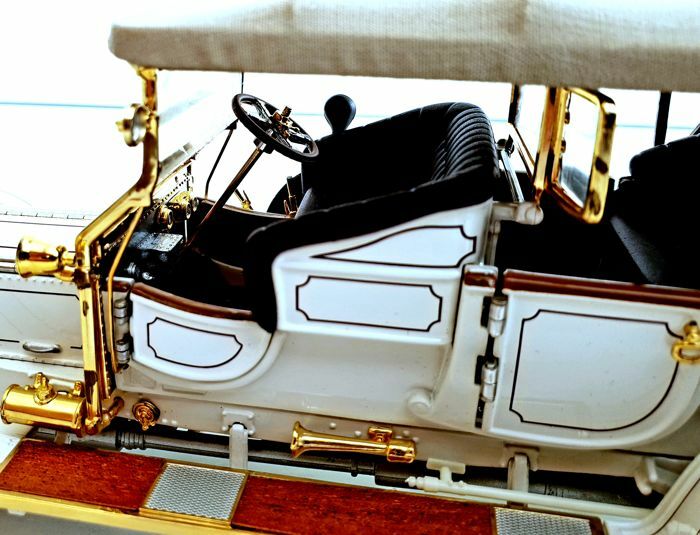 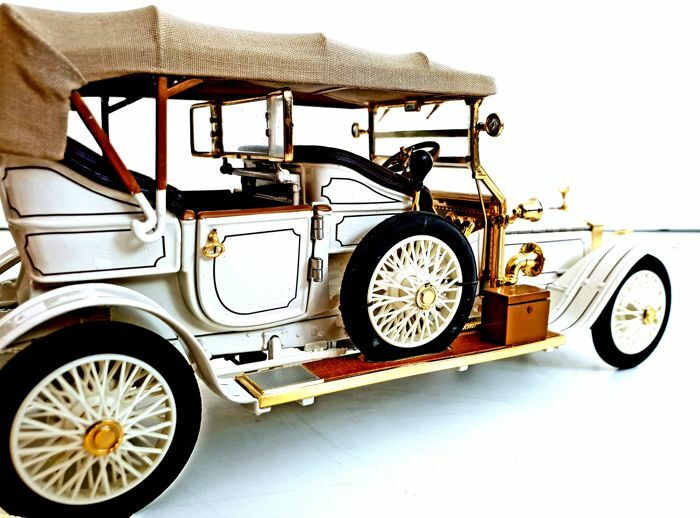 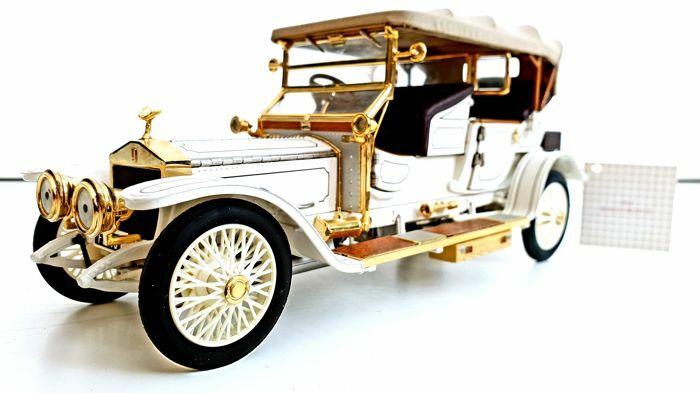 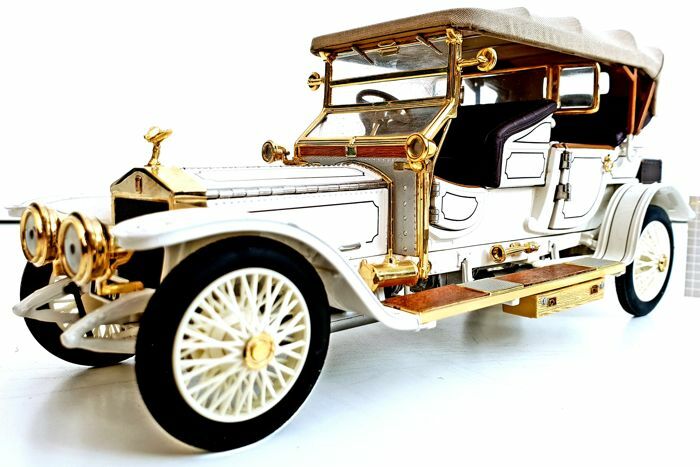 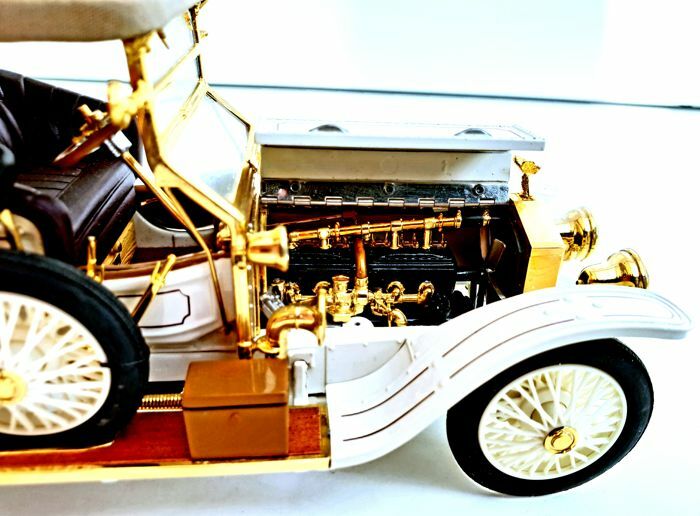 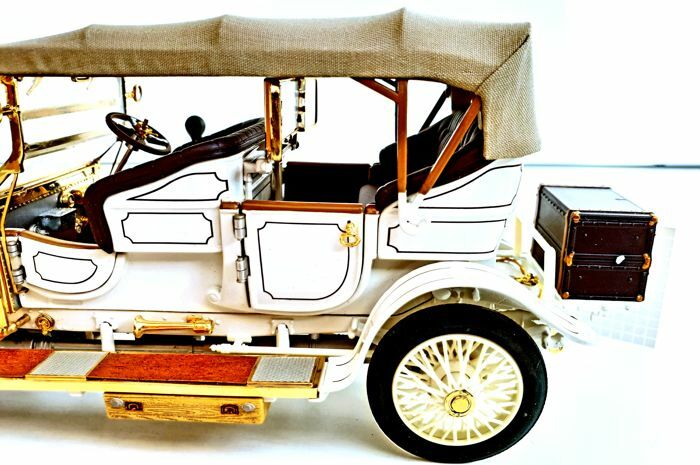 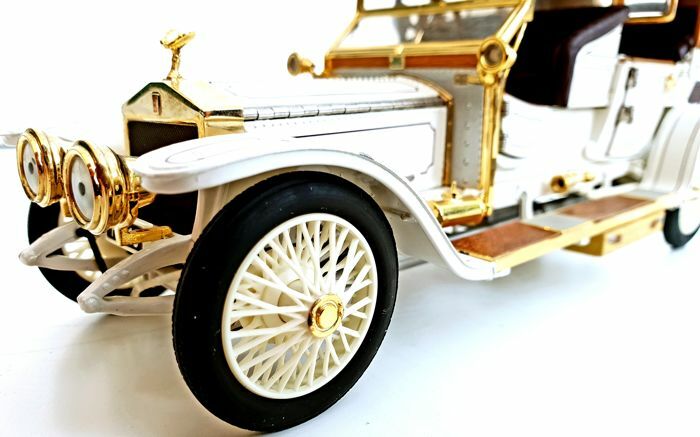 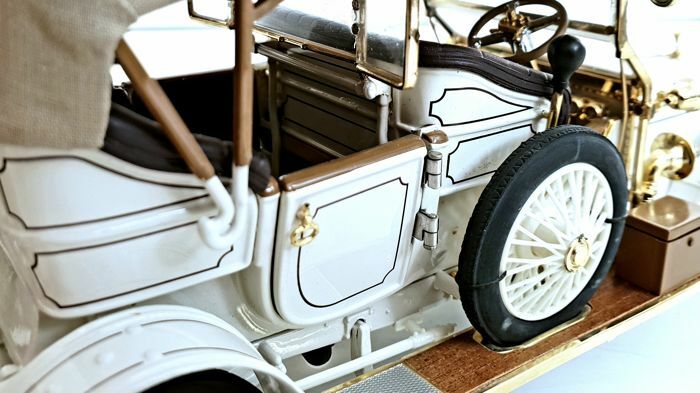 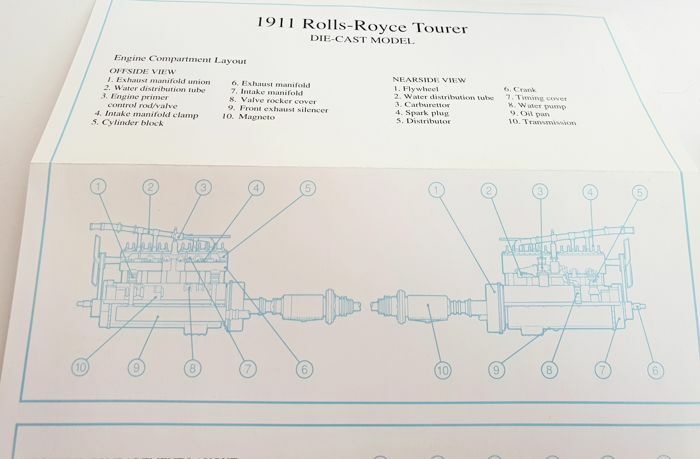 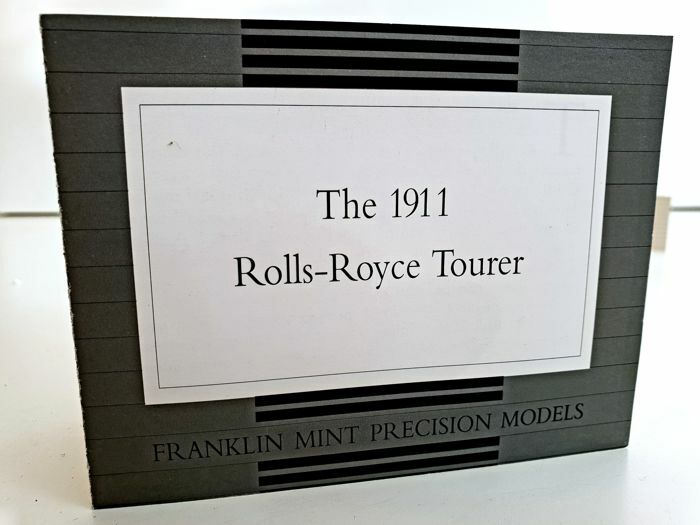 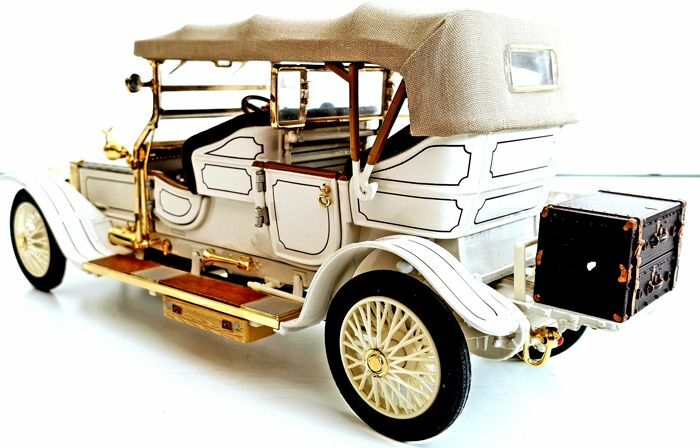 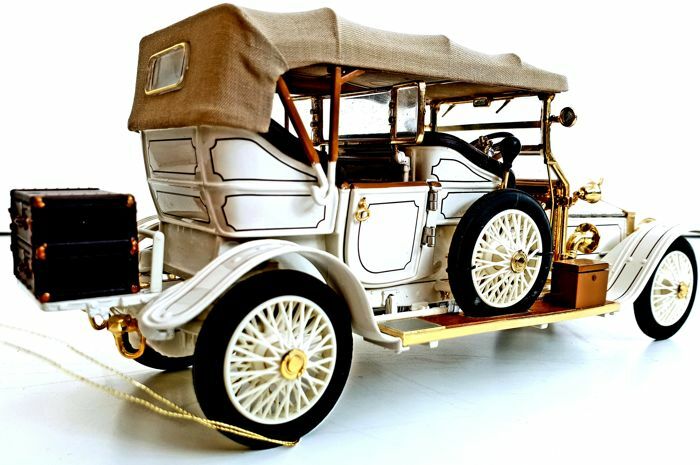 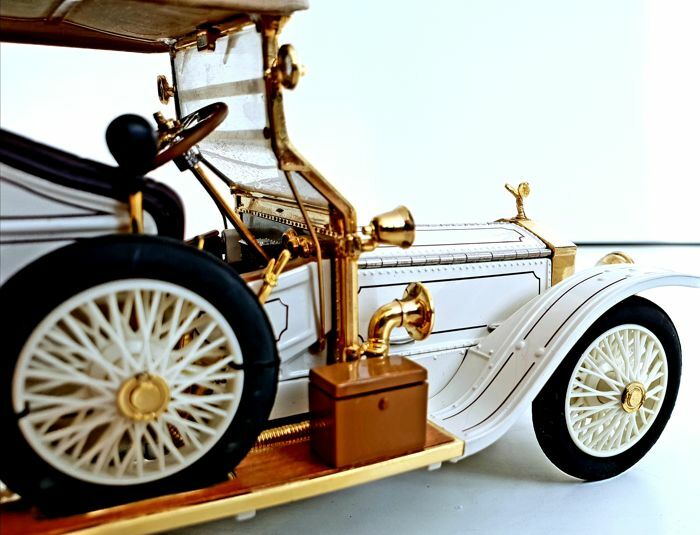 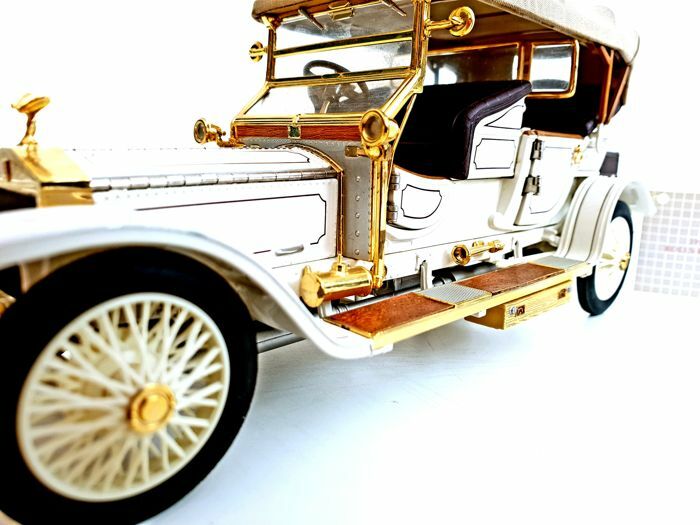 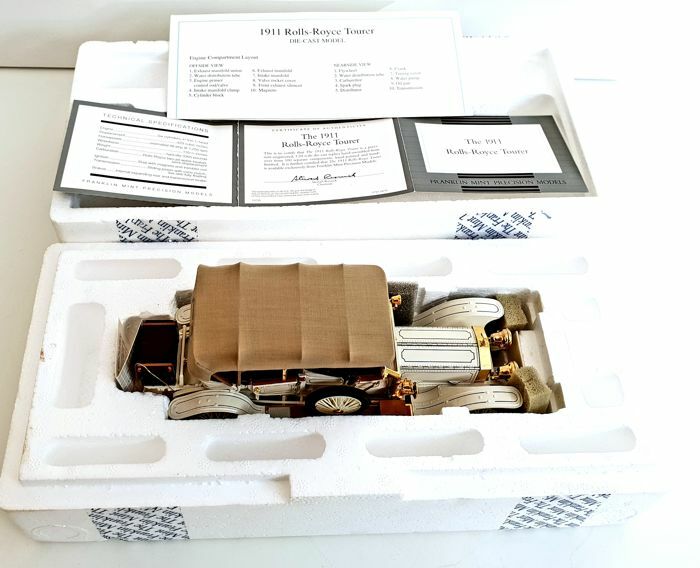 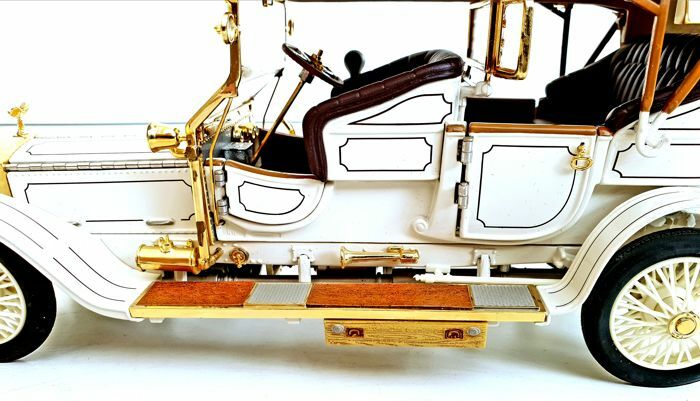 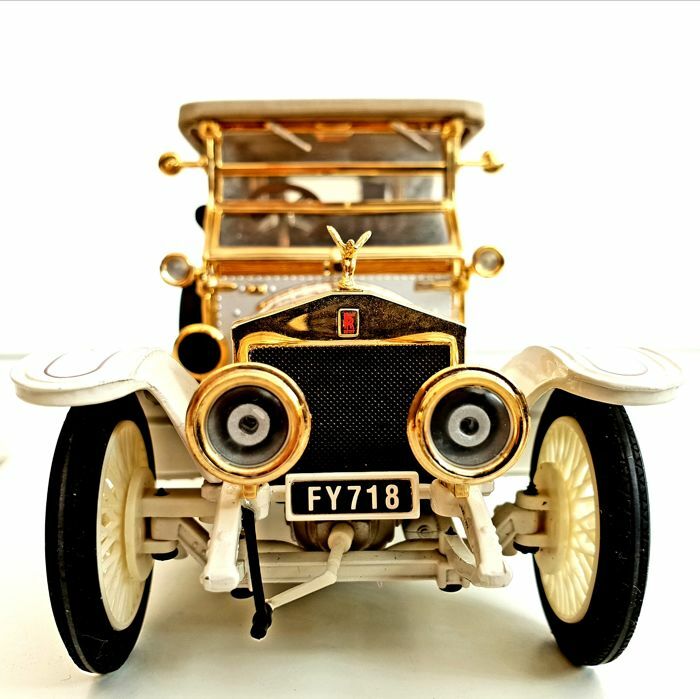 Beautiful Rolls-Royce Tourer 1991 extremely detailed model, made out of many 24 carat gold plated parts, total components add up to 106! 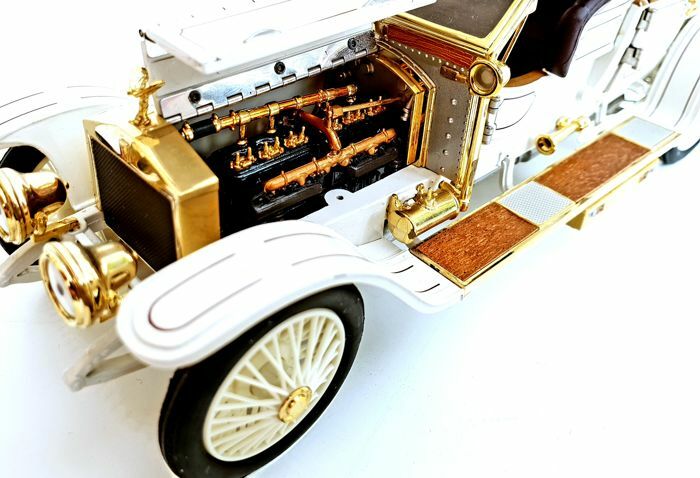 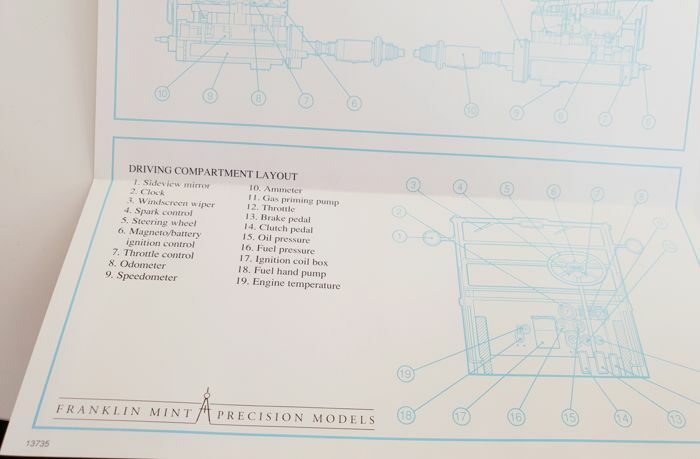 In very good condition, this model features doors that can be openend, engine that can be looked at (hood pops open) and many small, genius details. 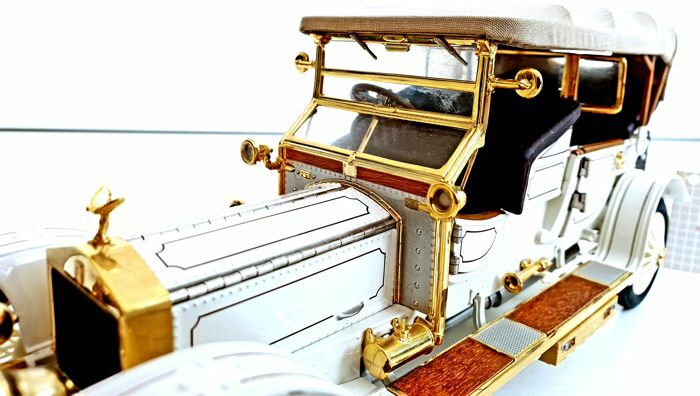 Measuring an impressive: 21x9x7,5cm this is a large model! 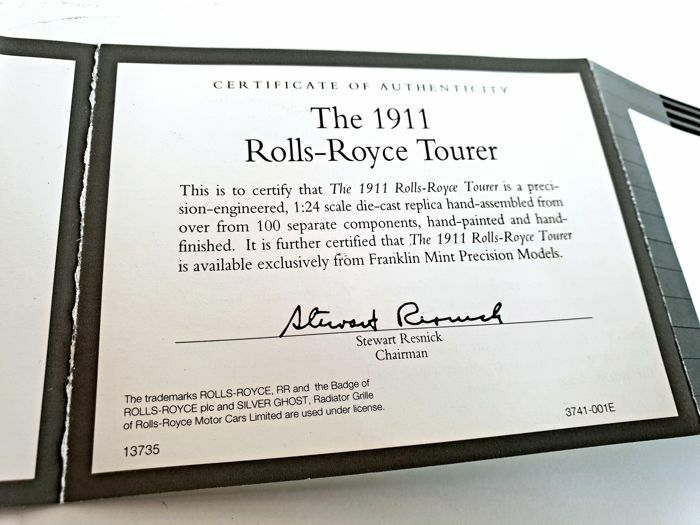 Comes in its original packaging with certificate of authenticity and other papers!